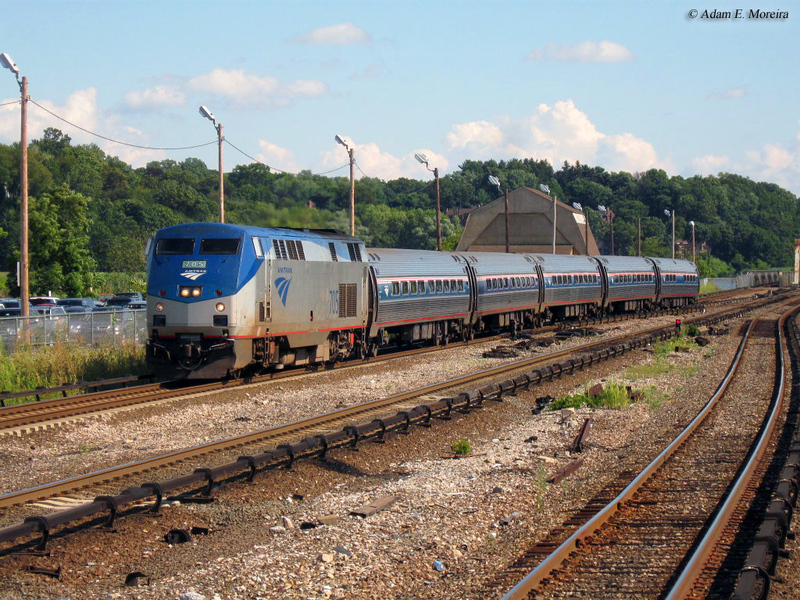 One of Amtrak's more recent corridors is the Ethan Allen Express, a train inaugurated in the mid-1990s thanks to a state partnership with Vermont to connect New York City with Rutland. Historically, this route never had direct service, at least via its own named train. However, one could reach the two cities aboard fairly nice accommodations by riding one of the Delaware & Hudson's crack trains that served New York and Montreal, and then catching a connecting train to Rutland. This was an option until the D&H elected to cancel local services thus ending the practice. Interestingly, the Ethan Allen came to life due to demand for the state of Vermont to serve the other side of the state since it already worked with Amtrak to offer service along its western border. The train has had mixed success during its short life and Vermont even threatened to shut it down at one point. Future plans hope to see the train pushed further north. While there is no train that historically served New York and Rutland, as mentioned above one could travel aboard either the D&H's Montreal Limited or Laurentian to do so. These trains, the former an overnight run and later a daytime operation, worked in conjunction with the New York Central at Albany to connect the two markets aforementioned. In 1900 using the NYC's Albany Union Station as a conduit the D&H launched the daily Laurentian (named after the Laurentide Uplands near the mouth of Lake Ontario and the St. Lawrence River it carried train numbers 34 and 35) and overnight Montreal Limited (the #9 northbound and #10 southbound) as a through Montreal-New York service. Given the immense beauty of the corridor and its fast speeds, just nine hours covering the 375 miles, travelers quickly flocked to the trains (especially in the era when the Adirondack Mountains were a major vacation destination for those which lived in the big cities, like New York and Boston). To reach Rutland one could interchange at Whitehall, New York and catch a D&H local service to the Vermont city. This changed after 1936, however, when the D&H ended service to Rutland and canceled all local passenger trains north of Albany after 1960 (which was essentially the entire railroad). After this point, one no longer had the opportunity to reach Rutland and New York by rail, at least somewhat directly. The idea to create what became the Ethan Allen Express began in only 1995 when Amtrak and Vermont launched the Vermonter, a train that served the eastern areas of the state including St. Albans, Waterbury, Windsor, Brattleboro, and other towns as well as reaching southward to New York, Philadelphia, Baltimore, and Washington, D.C. With this, folks in western Vermont looked to have their own passenger service although it would require rebuilding a line that was in very rough condition. Thanks to a quick approval, federal funds were available to upgrade the route between Whitehall and Rutland within a year with speeds approaching 60 mph. By the 1990s the line was owned by the Vermont Railway System, a railroad that primarily operated former Rutland Railroad trackage in the state. Service for the new Ethan Allen, as it was called, began in December, 1996. Since it was inaugurated the train has been powered by a General Electric Genesis series diesel and a handful of Amfleet I cars that offer coach and business class accommodations as well as a snack/cafe car (usually no more than four or five cars). 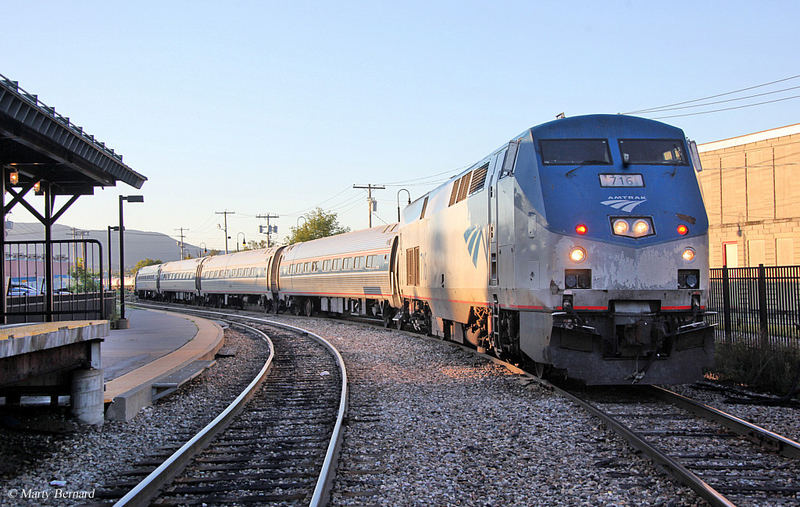 With travel time requiring more than five hours one way and over 240 miles in length, Amtrak is able to complete about two round trips per day with train numbers 290, 291, 292, 293, and 296. While western Vermonters were happy to have their new rail service, it has not been a particularly successful operation in terms of ridership after more than 15 years. Today, a typical train averages no more than about 150 passengers an annual ridership is less than 50,000. Considering that most Amtrak corridors carry at least 100,000-150,000 annually (or at least 300 passengers daily) the Ethan Allen Express lags well behind the average train. Things became so bad that the Vermont Agency of Transportation, which oversees the state's passenger rail operations, began contemplating removing the train from service and replacing it with bus service in October of 2008. This idea was spurned sharply by local Vermonters and the idea was quickly shot down. Another plan a year later to scrap the train was also brushed aside by local support. 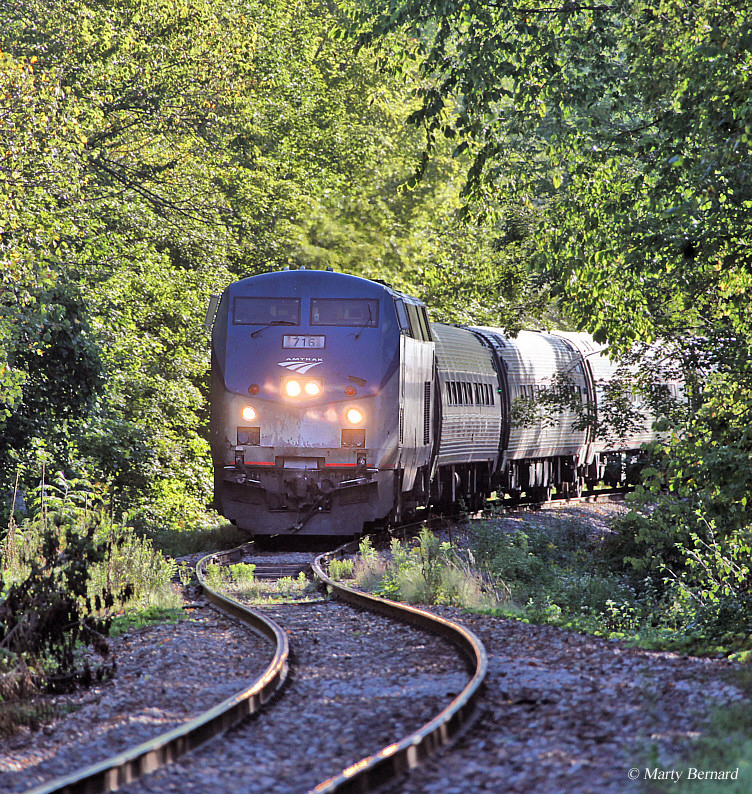 Then, only a few years ago the agency began looking into scheduling problems after delays became an issue along the Vermont Rail System's route between Whitehall and Rutland. These problems have since been mitigated thanks to the freight railroad's track work and funding through the state of New York along the line near Whitehall. 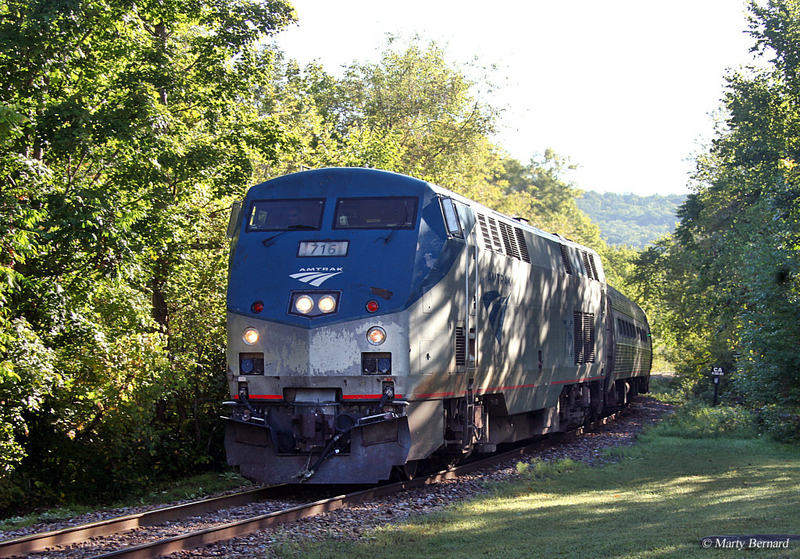 Due to this maintenance work train speeds have increased to the point that the Ethan Allen has reduced its schedule time by nearly 20 minutes in both directions. Future hopes include extending the train to Burlington where increased ridership hopes to secure the route's long-term future. However, it has yet to materialize at this time.